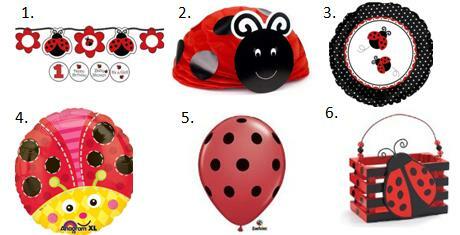 Planning a ladybug birthday party for your little one and looking for ideas? Then you’re in luck! Here are some ideas for invitations, decorations, food, activities and treat bags. Printabelle has beautiful free ladybug party printables that would make an excellent addition to your party. 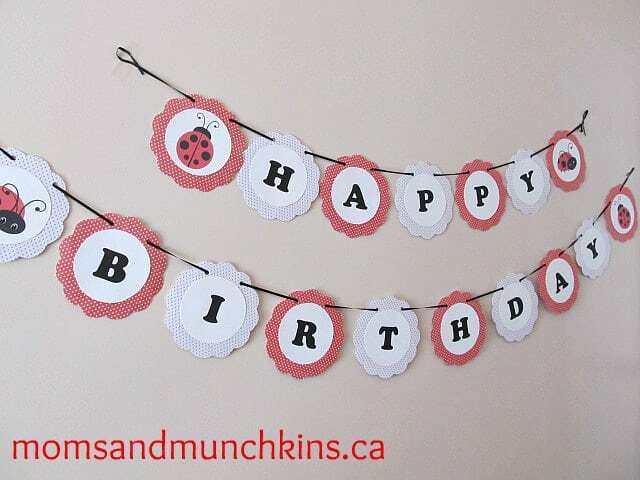 If you are crafty and wanted to make your own invitations, red card stock with black polka dots is the perfect combination for a ladybug party invitation. A green card stock invitation with a sparkling ladybug embellishment is also sure to impress the guests and your little guest of honor. If you’d like something personalized for you, here are a few ideas. 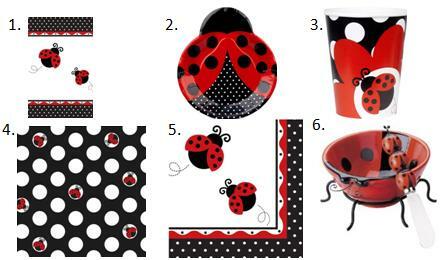 Plenty of red and black decorations help set the theme for a ladybug party. An outdoor setting with a picnic-type style is nice as well. 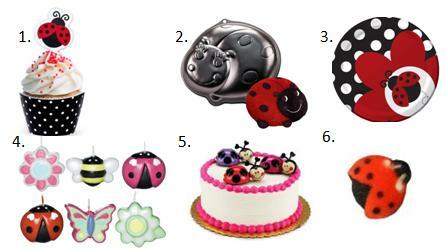 A garden party theme fits well with the ladybug party theme. Food could be as simple as finger sandwiches and picnic salads (pasta salad, potato salad, etc.). Another idea is to make cheese quesadillas using red wraps. These red circular quesadillas could be cut into pie shaped slices and served with salsa and sour cream. You could even toss a few black olives on the top for decoration…but most kids aren’t a fan of black olives (I know I’m not!). An easy idea for cupcakes for a ladybug birthday party is to use black cupcake wrappers, top cupcake with red icing and sprinkle black sprinkles on top. If you’re looking for something a little more fancy, here are a few ideas. 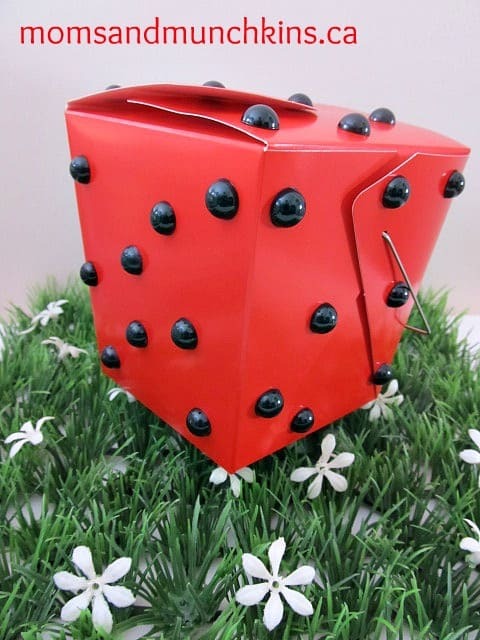 A fun game for kids of all ages is to have a ladybug scavenger hunt. 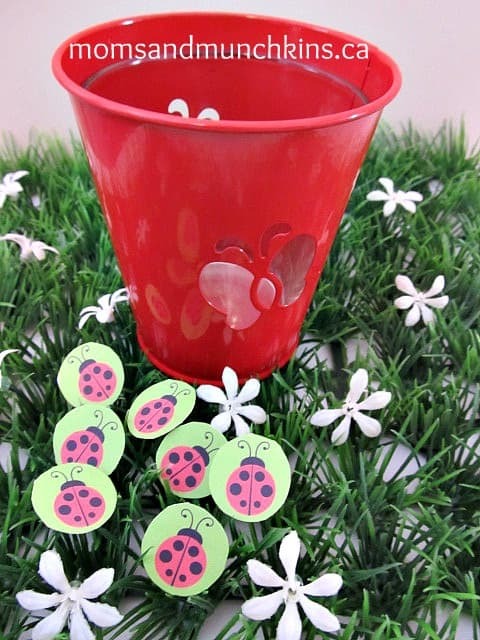 Hide ladybug stickers around the party area and give each guest a small bucket to find as many ladybugs as they can. 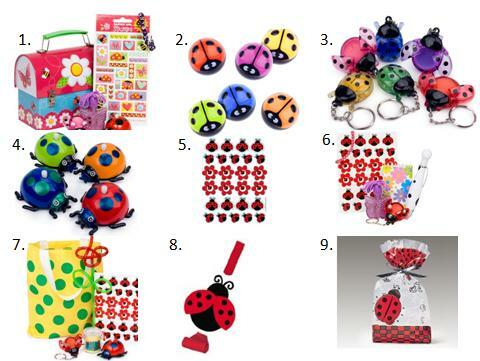 The child with the most ladybugs wins a prize! Another fun idea is this Ladybug Puppet Craft. A cute & easy way to make your own party favors is to buy red takeout containers (from your local craft store) and place round black stickers around the outside. Then stock up on red and black candy from your local bulk candy store and have the kids fill up their treat boxes with candy. Do you have a favorite garden bug? We’re always adding new ideas for parties! Stay updated on the latest ideas by following along on Facebook, Twitter, Pinterest and Bloglovin’. *Disclosure: I am part of the Amazon.com, Birthday in a Box, Big Dot of Happiness and Tiny Prints, Inc. affiliate programs. LOVE ladybugs. This is too cute! 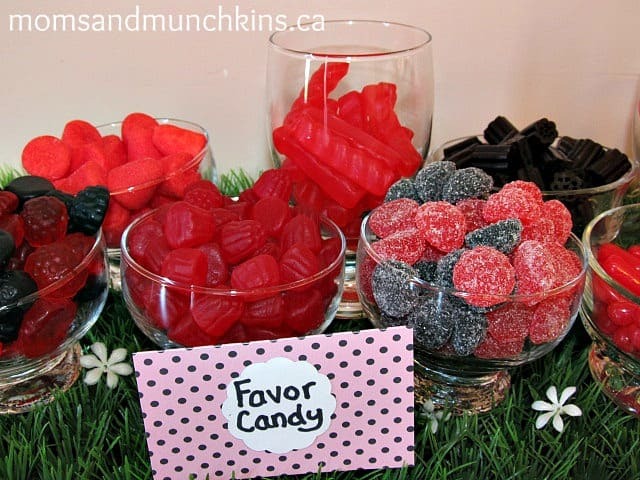 You did a great job with the candy display and red take-out party favors! Adorable! What a wonderful party you must have had! Hopping by from the Alexa Hop! Very fun ideas! Thanks for sharing! Thanks for the mention! I love your favor candy!